When Marriott finally sealed their long-awaited $13B merger with Starwood Hotels & Resorts, most headlines framed it as the dawn of the world's largest hotel operator. By going through with the merger, the combined Marriott-Starwood group now owns 30 brands altogether, meaning guests can choose between thousands and thousands of hotels all across the world. And tellingly, just hours after the deal was announced, guests could also merge their Marriott and Starwood member rewards into one joint account. Compare this to the months it took American Airlines and US Airways to sync their loyalty programs upon merging. Because Marriott doesn't want to wait one extra hour before giving consumers additional incentive to collect rewards points and gain travel benefits (which require they book directly through Marriott). In other words, they want to immediately reclaim some valuable leverage against OTAs, which cannibalize direct booking revenue by charging a commission percentage for each reservation (typically between 15 and 30%). At my agency, we work specifically with luxury hospitality brands, so we have been in the thick of this OTA battle from its very onset. Speaking from personal experience, here are some of the actionable strategies brands can use to swing the pendulum back in their favor. Though it might seem self-explanatory, too many brands overlook one of the most important tools in their arsenal: control over rate parity. It's critical that hotels keep their rates the same as OTAs (or lower). 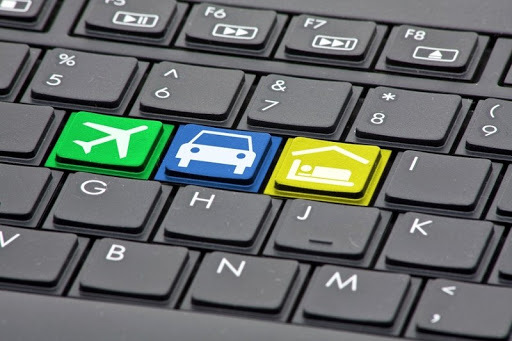 Even luxury consumers will favor marketplaces like Booking.com or Expedia if rates are as little as $50 lower per night. This is especially important now that all available rates are embedded into Google's metasearch results; if your rate is higher than the rates on OTAs, your chances of direct conversion are slim. That's why almost all major hotel brands now make their "best rate guarantee" promise highly visible throughout the reservation process. At Ritz-Carlton, for example, if a guest finds a better rate within 24 hours of booking direct, the company will match it and provide an additional 25% discount.